Business tycoon, captain of industry, philanthropist, the richest man in Chicago—all of these terms identify Philip Danforth Armour Sr. 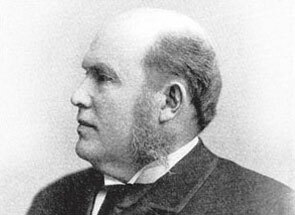 Inspired by minister Frank Wakely Gunsaulus’s vision of building a school to provide accessible higher education to all, Armour gave $1 million in 1890 to found Armour Institute, a predecessor of IIT. His initial gift multiplied several times over as he, his spouse, Malvina Belle Ogden, and their son J. Ogden each contributed to the growth and support of the college from their own personal wealth for the next 30 years.